Sturevant, Inc. announces Chris Meadows has joined the company as VP of Sales and Marketing. Sturtevant, Inc. announced that Chris Meadows has joined the company as VP of Sales and Marketing. In this position, Meadows will be responsible for the overall activities of Sturtevant’s sales and marketing and their respective departments. Meadows will play a key role in managing and supporting the company’s sales representative organization. 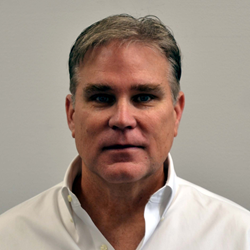 Meadows brings over 20 years of industry experience to Sturtevant, including 4 years with Triple /S Dynamics as Sales Manager and 17 years with Progressive Industries as VP of Sales & Marketing. Meadows earned his Bachelor of Science degree in Marketing from University of Alabama. Sturtevant Inc. is the leading family-owned manufacturer of material processing equipment including its patented Micronizer jet mill which produces sub-micron sized particles, FCM, an air-swept impact mill with integral classifier, Simpactor and Infestroyer, centrifugal, pin-type impact mills and three types of high performance air classifiers that separate fine and coarse particles with precision and accuracy. For more information, please contact the company at 1-800-992-0209, email sales@sturtevantinc.com, visit http://www.sturtevantinc.com, or follow us on Facebook.